Objective: Use text features to distinguish elements of informational texts. Students work cooperatively on their "Simpsons" brochure. Procedure: This station will have a large poster board folded into a brochure. The heading, subtitle, and contact information will be written on the cover of the brochure. Four copies of an informational text about a place (written in paragraph form) will be at the station. The instructions will tell the students to choose one aspect of the text, read the section, and create an informational section on the brochure. Section must include a certain number of text features given. *Envelopes not needed at this station. Students apply their use of text features in writing brochures. 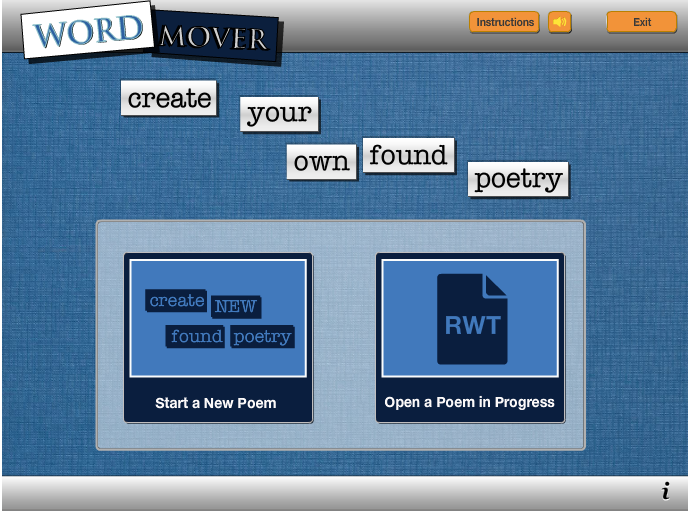 Visit ReadWriteThink to access Word Mover. 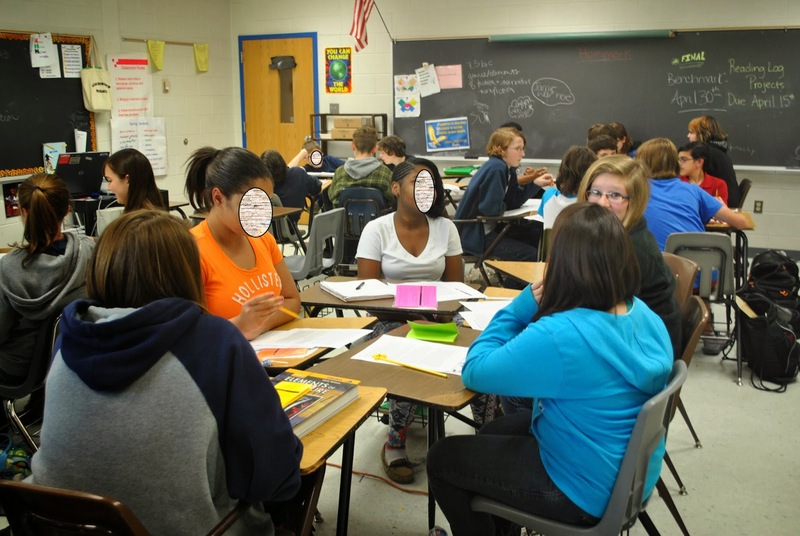 With eight stations, up to 32 students are engaged simultaneously. Objective: Students will identify the purpose of short texts by sorting them into identify, persuade, and entertain categories. Objective: Student will work cooperatively to identify literary terms and their meanings. Procedure: This is a cut and paste sort, so students will need scissors and glue. 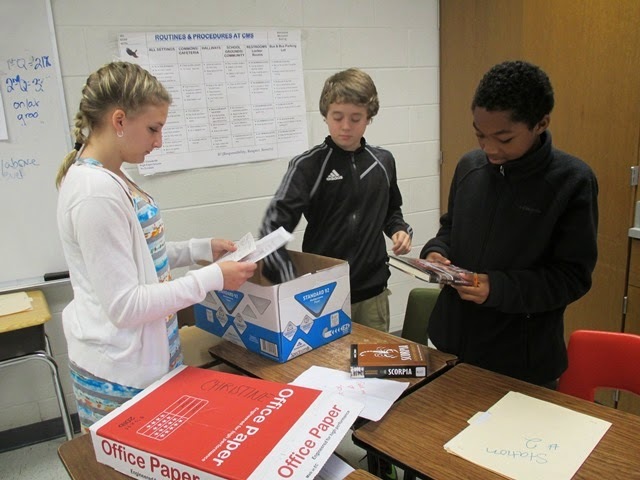 Students will work cooperatively to match literary elements and terms to their meanings. Objective: Students will analyze poems and draw conclusions based on implicit and explicit clues. Procedure: The activity incorporates paintings/pictures in place of literature. There are five printed paintings at this station. 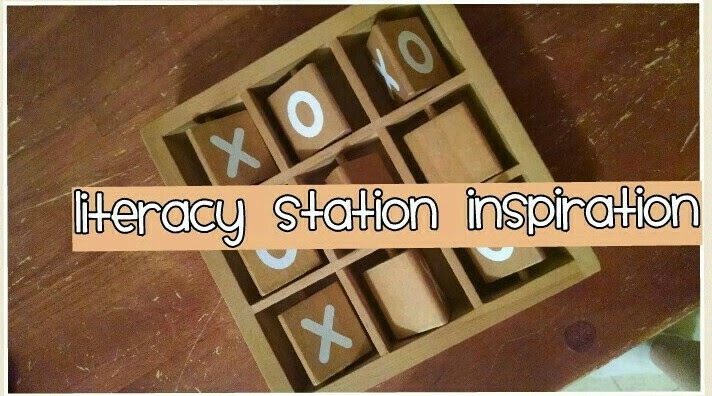 There will also need to be colored pencils, crayons, or highlighters at this station. 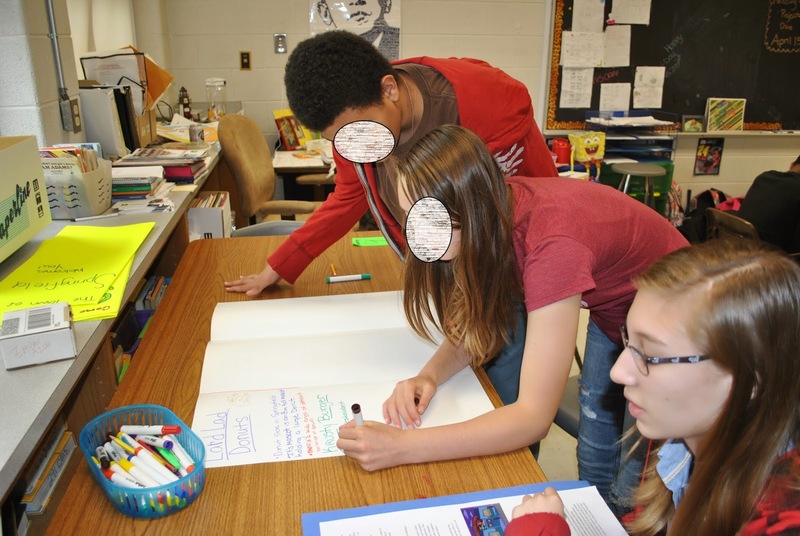 Students will analyze the art as a team, then determine the mood the author is attempting to communicate through the pictures, symbols, and colors. Choices of mood are represented by colors, and students are instructed to shade the box on the handout the correlating color of the mood. They will then defend their mood choices by writing out the evidence they inferred. Objective: Make inferences based on explicit and implied information. make the students do some synthesizing and critical thinking! Procedure: This station will each have two boxes containing 4-5 items (i.e. College T-Shirt, receipt, academic award, food wrappers, graded paper, game case etc.) The contents of each box will contain various items that characterize two different personalities. Envelope 1 will contain a handout that asks to match character traits with actions based on the information they gained from the items in the boxes. On the back of the handout, there are inference questions asking which criteria best applies to the owner of which box. They will turn their handout in to the return envelope. 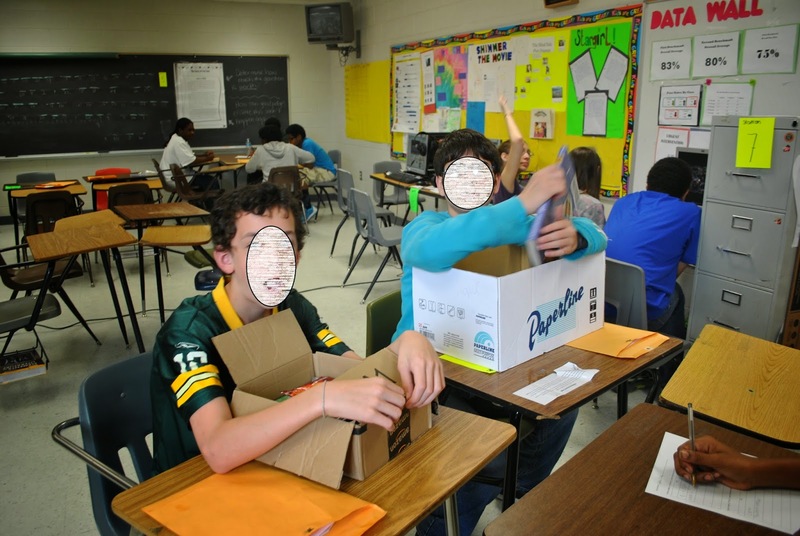 "Inference Boxes" are a student favorite. Objective: Students will use manipulatives to determine conflict types, as well as sort them into internal and external. Objective: Students will apply knowledge of figurative language to write their own figurative language examples. Procedure: This station requires two 6-sided dice. What we did was get large dice (available at local dollar stores) and hot-glued pre-printed paper slips; literary devices on one die and topics on the other. Students roll the dice, and whatever they land on-students must write. For instance, if they roll "personification" and "football", they write a sentence in which something about football is personified. Students take turns rolling and writing, and everyone can help each other when needed. Objective: Students will understand differences among text structures and organizational patterns. Procedure: At this station, students will need glue and scissors to complete this cut and paste. They will analyze key words that indicate organizational patterns, as well as graphic organizers to visualize them. Objective: Students will identify author's use of hyperbole in commercials and digital advertisements. Procedure: This will be a computer station. Students will watch 5-ten commercials (depending on time allowance). After viewing each advertisement, they will identify the figurative language illustration, then discuss how hyperbole is used by the writers to sell the product on their handout. 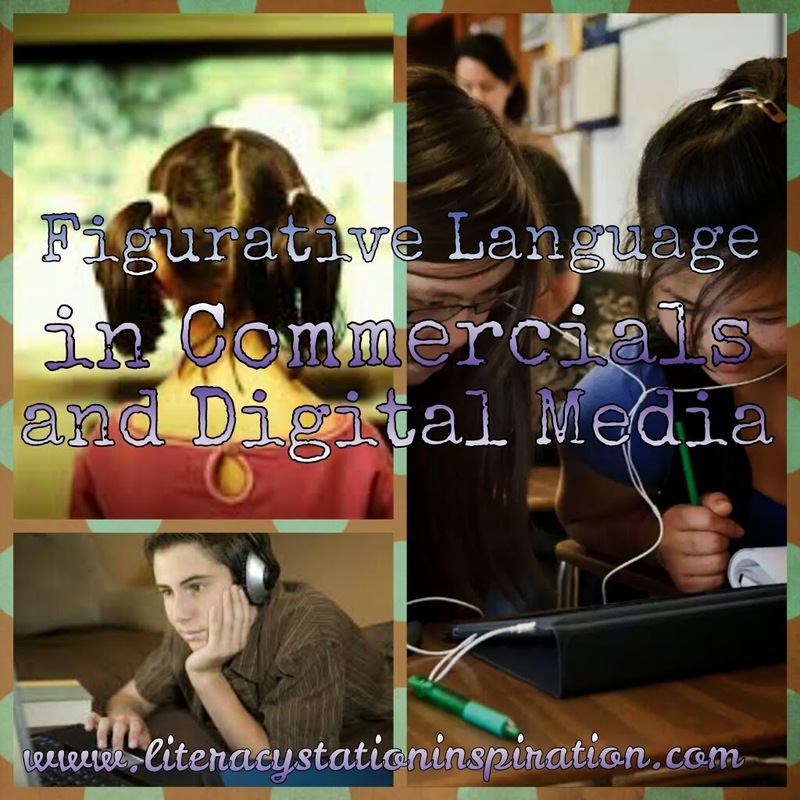 Objective: Students will identify author's use of personification in commercials and digital advertisements. Procedure: This will be a computer station. Students will watch 5-ten commercials (depending on time allowance). 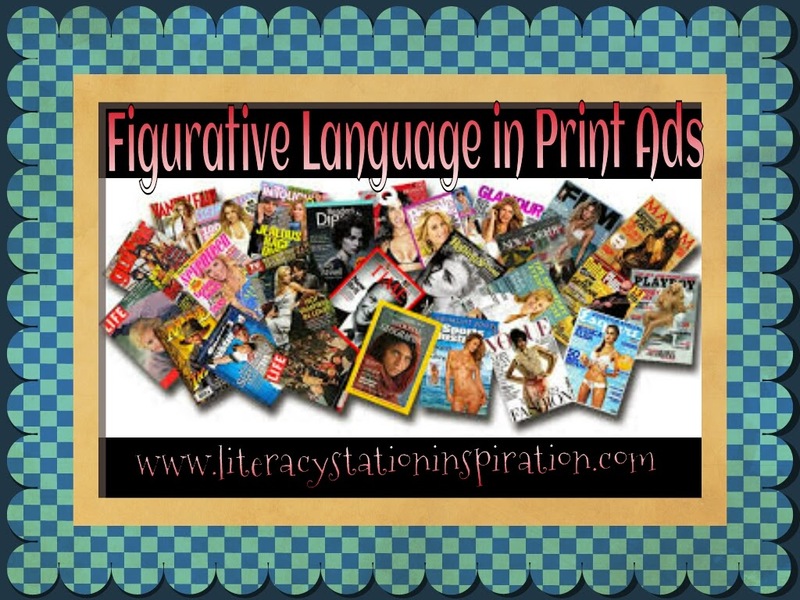 After viewing each advertisement, they will identify the figurative language illustration, then discuss how personification is used by the writers to sell the product on their handout. 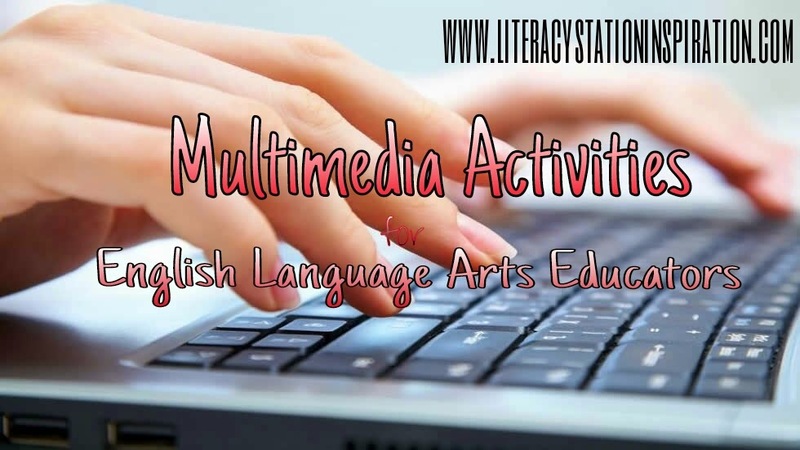 Objective: Students will identify author's use of metaphors in commercials and digital advertisements. Procedure: This will be a computer station. Students will watch 5-ten commercials (depending on time allowance). After viewing each advertisement, they will identify the figurative language illustration, then discuss how metaphors are used by the writers to sell the product on their handout. Objective: Students will use color pencils, crayons, or highlighters to categorize elements of various subgenres of fiction. Objective: Use knowledge of plot elements to infer sequence of events. Procedure: This station will have 3-4 comics (depending on length) taped to the desks/table. The comics will have no words. 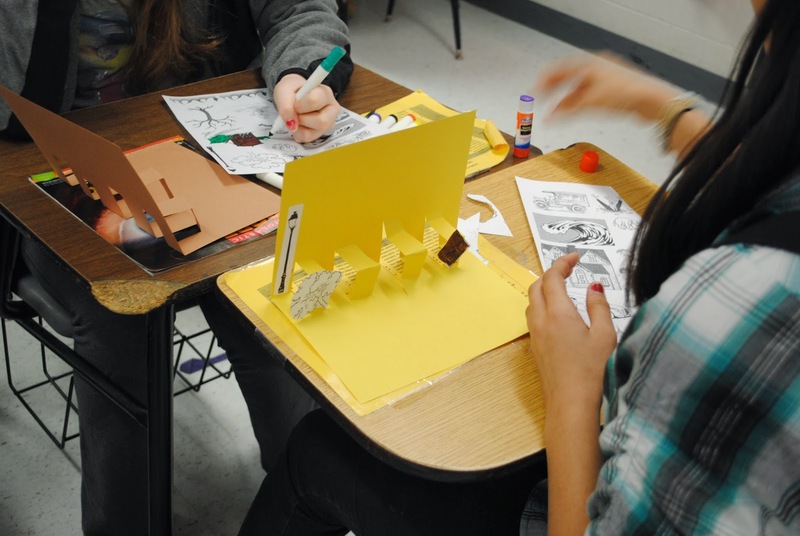 Students must decide what is happening in the comics. 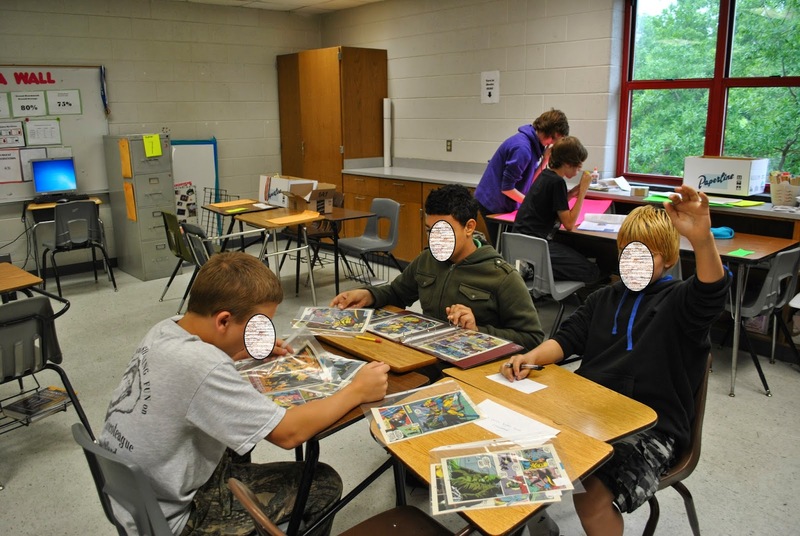 *Variation – students can add a panel to a comic, making a prediction as to what would happen next. Objective: Students will practice identifying and applying only the most important, basic information to create summaries of fictional texts. Procedure: Taped at this station will be two timelines documenting the lives of two superheroes. Students will be instructed to read and analyze the timelines, then compare and contrast the two superheroes by filling out an oversized Venn diagram (drawn on the board). *For accountability, the teacher must check the Venn before the time is up. Objective: Students demonstrate comprehension of metaphors. Procedure: At this station are several printed advertisements and public service announcements. There is also a handout on which students will write their answers. Students work together to analyze the ad, interpret the author's use of figurative language, and determine how the author uses the literary device to sell the product or service. Objective: Students demonstrate comprehension of hyperbole. Objective: Students will determine the appropriate heading for a passage by summarizing the main ideas and details. Procedure: At this station there are eight headings and eight short paragraphs. Students must read each passage and match the heading to its appropriate paragraph or article. To make the station challenging, we wrote four articles on the same general topic, and the other four articles on a different topic; so that students have to read for details in order to identify the appropriate heading. Objective: Students will use their knowledge of narrative elements to put the story scenes in the correct order. Procedure: This station will have 8-10 excerpts from a story on numbered strips of cardstock. Students will be instructed to read each card and make inferences in order to put the story in order. Once they have completed the task, they will turn in only the card numbers written in order on an index card. Objective: At this station, we take the "Facts of the Case" and blew it up into a large poster and taped it on the wall. Students read the facts, then each team member takes on a role: defendant, prosecutor, judge, and jury member. Each member will state their case, propose and outcome, and defend their decision. 7th grade "Conflict Caption" station finished products on display. 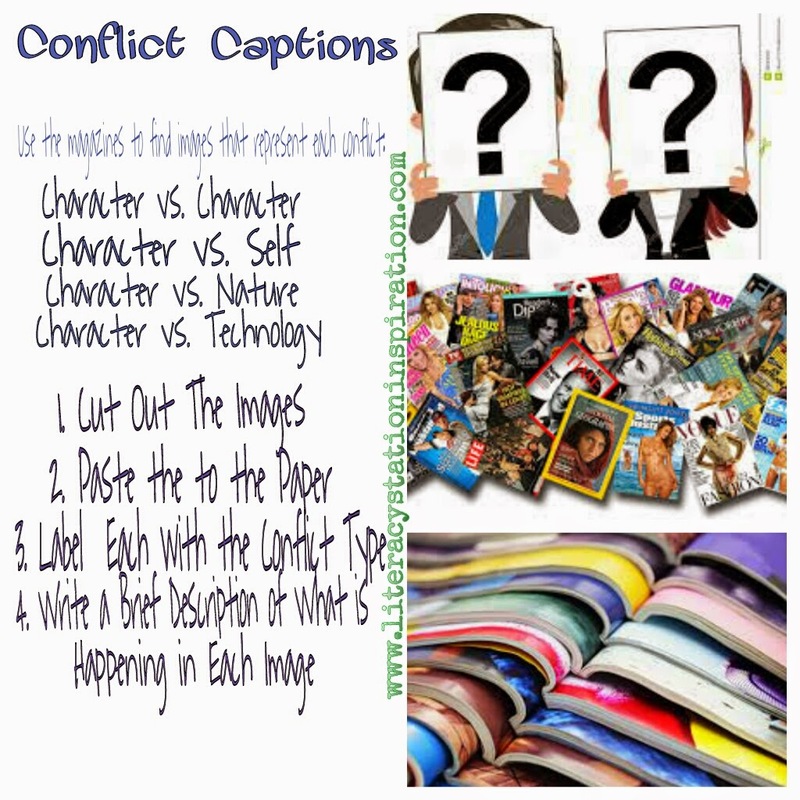 Objective: Students will write and categorize conflicts. Procedure: This station will have several magazines/catalogs for students to cut up. They will have an oversize (11.5 x 17) sheet of paper that they will turn in. The large paper will have two columns; one for internal conflict and one for external conflict. Students will be instructed to locate images in the magazines that depict conflicts. They will glue the image into the appropriate column, and label it with the appropriate “____________vs. ______________” caption. "Pop-up Settings" are colorful and crafty! Objective: Students will demonstrate an understanding of setting as time and place. Procedure: This station will have sheets of cardstock and images for students to choose from. We used printed sheets of clip art. Students are given a short descriptive text (or it can be based on a text that was recently read in class). Students will work cooperatively to choose images that describe the time and place of the setting. At our station, they needed scissors and glue to cut out images. They also were given markers and colored pencils to color their images or draw their own. Objective: Students will demonstrate their understanding of figurative language in authentic texts. Procedure: This is a computer station. Headphones are needed at this station. Directions are posted that instruct students to follow a link (we often pull this up in advance). On the handout, students will analyze the lyrics (both from watching, listening, and reading the lyrics on a printed page; then they will identify literary devices and describe their impact on purpose, mood, and/or tone. Objectives: Students will make inferences and draw conclusions based on implied information. Procedure: This will be a computer station with headphones. Each student may have a separate computer, but only one is needed. At this station, students will be watching clips of movies with no sound. We chose to use Disney's "Hook", and just put scenes on mute; we have also used Disney Pixar's "Up," in which there is a scene with just music. In either case, the students will pick up cues such as body language, expressions, and character reactions to determine what is happening and how character's feel. If enough computers aren't available, students can share! This is a great set up! I can't wait to try some of these with my students, thanks. Inference Box Trait Handout & Inference Box Handout are the same document....is this a mistake? I'd love to use this activity. Thanks for the great resources! Also, the link isn't active for the Super Hero Timeline. Could you also provide that?